Coming to you live from the deep recesses of your own mind: Nerdy Show is creepin’ in your dreams and in your Fallout 76 servers! 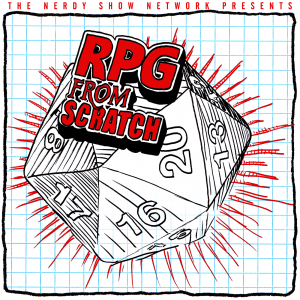 As we batten down the hatches while hatching other Nerdy Show Network schemes, our titular show goes full on diary – recapping the various projects we’re chipping away at and fascinating life happenings. Ever wonder what the day to day life of the hosts of Flame ON! is like? Well, wonder no more! BeeJay has taken the reigns of our microsode and is bringing you the first of our in-depth look at gay life in 20gayteen. For this discussion, BeeJay is joined by Pat the Talking Bear Skin Rug and special guest, Josh, as they discuss dating. What is a date? How do we decide when we are on a date? What is the ideal date? The boys “bear” it all in this all new mini series! 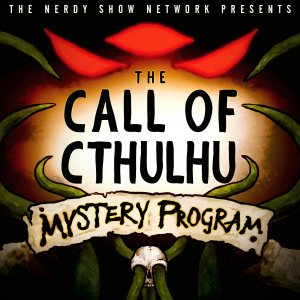 The Call of Cthulhu Mystery Program is live tabletop roleplaying turned into a 1930s radio serial. 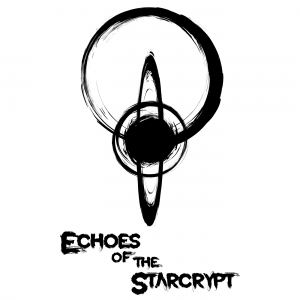 A cinematic audio drama wrought with unknowable horror and black comedy. In Part 8 of our Actual Play campaign, the crew finds a glut of clues and tries to find a way to care for the four lost children, while engaging in intense debates about the scrolls, Forsha, and whether or not crocodiles have beards. Evan and Derek went to a convention last weekend, and oh man do they have some bizarre con stories to tell! We’re also talking about some new movies (including the one with our favorite electric mouse, Pikachu) highlight some of the worlds best creators, and the continuing adventures in the Dragon Ball news saga! 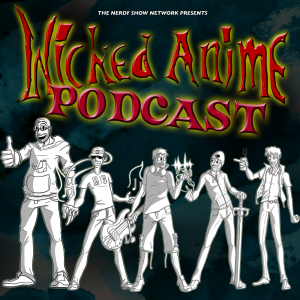 Join Jonstar, Andrew, Evan, Derek, and Kim as they talk about what’s happening in anime and what happened to this season of anime?! PLUS – The death of a legend, the death of a trash anime, and the death of Derek’s behind! It’s not the winter months putting a chill in your bones – it’s the lingering terror of knowing that horror doesn’t end in October! Join us for a panel with Chris Ryall (Locke & Key, Zombies Vs. Robots) and Jeremy Whitley (Vampirella) as we chew on chilling tales, crossing genres, and frights for all seasons. 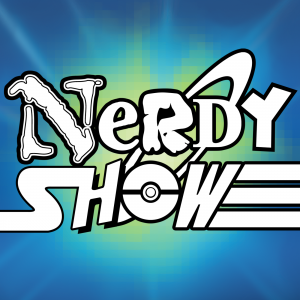 This discussion comes to you live from NC Comicon, moderated by psychiatrist Matt Connor, and featuring our very own Cap Blackard alongside Chris and Jeremy. We discuss the differences in conveying scares in disparate mediums, our formative horror memories, favorite films, existential dread, and a dose of Cap’s insights on bringing scares in the world of audio dramas with The Call of Cthulhu Mystery Program. The boys throw out the normal format for the show and get a little weird by deciding to talk about their favorite topics in true round table fashion! The boys discuss the life and legacy of Stan Lee, the newly announced upcoming holiday episode of The Chilling Adventures of Sabrina, all of the drag-tastic Rupaul’s Drag Race episodes, the finale of American Horror Story: Apocalypse, and much more. And, of course, they close out this episode with their picks for 1UPs, the pop culture items that are giving them LIFE! Housed within the hallowed halls of the Miskatonic University library is one of the few known copies of The Necronomicon – a tome of the unknown – of death, and power. Seekers of arcane knowledge are drawn to it. So it should be no surprise that Estelle Thorpe’s path has led her here.